The Nottingham Carnival Weekend is two days of activities and entertainment for all the community, drawing crowds of up to 30,000. The event comprises live performances from the main stage and other music stages, the amazing carnival parade, workshops, stalls and a large funfair – truly something for everyone! The Carnival site at The Victoria Embankment, The Meadows is open from 12noon to 8pm on both days . For Saturdays’ music festival there is a small admission fee of £2 for adults, £1 for children under 12, and toddlers go free. The big Carnival parade is on the Sunday, commencing at 2pm. It returned to its roots in The Meadows in 2015 with many local and visiting troupes, performances on stage and funfair and stalls for a full day of family fun. 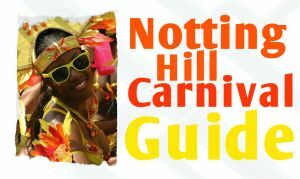 The Nottingham Caribbean Carnival is one of Nottingham’s most spectacular and colourful events with two days of FREE family entertainment for all to enjoy.